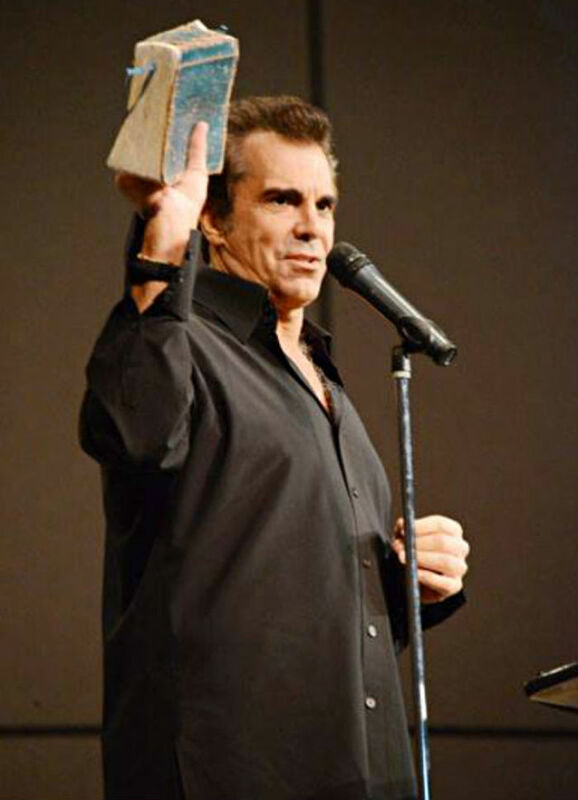 Popular Christian entertainer Carman Licciardello says his upcoming surgery to remove a possible cancerous tumor on his shoulder has led him to question God. 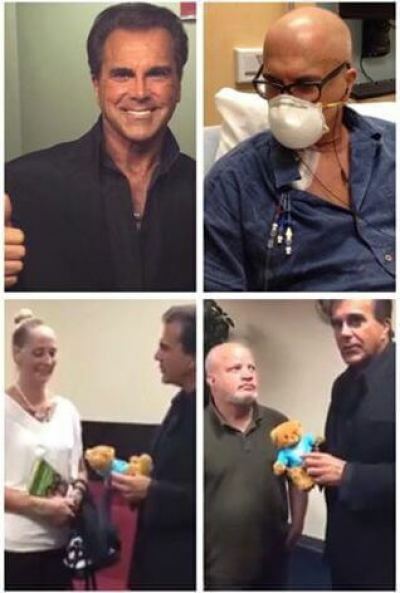 Carman Licciardello, known as Carman, revealed that after being in remission of cancer over the past few years, doctors recently found a tumor on his shoulder. His surgery was originally scheduled for the last week of April, but has now been delayed twice. "Ok Lord, why did John Denver get Sunshine on his shoulder but I ... get a tumora? Anyone ever get that 'Why me Lord' feeling?, Carman said in a recent Facebook post. "They're now postponing surgery another day." The delay is causing the legendary evangelist singer to inquire the reasoning behind the hold up and he revealed that It's causing him great concern. "It's making me think, 'what do they know that I don't?' I know it's unusual to hear guys talk about their health issues, but you all have been praying with me through this whole battle with cancer since February of 2013. So we are in it too deep now for me to suddenly clam up," he continued, "Yes I confess, I'm trying to stay up and confident but I am worried. Because the Doctors gave me 3-5 years of remission time and I'm past my 4th year going into my 5th. Now they discover a tumor the size of a golf ball on my shoulder and need to take it out for a biopsy. I just don't have the same optimism this time, especially with these repeated delays." Since the timing of this new tumor lines up with the end of his remission cycle, Carman admits he wonders if his upcoming CD recording will be his "last." "I hope not, but just in case I decided to call this record LEGACY. Maybe it's prophetic. I don't know. It's a bit discouraging because we're not even done recording yet and It's making me weary being the record company, the promotion company, the writer, the performer and the cancer patient all at the same time," he maintained. Carman ended his post asking for prayer and supernatural strength for himself and those he will minister to during this season in his life. "If I live, if the biopsy comes back cancer free and I can get back up on that stage, I promise you the devil will hate what I'm planning on doing. New souls will come into the kingdom. My testimony will inspire others fighting for their lives too and a new song will be in singing in someone's heart. And yes I still do have something to prove. And it's that the devil put cancer on the wrong Italian!" he concluded. On Feb. 14, 2013, Carman first shared that he had been diagnosed with myeloma cancer and given only three to four more years to live. Fortunately, the popular entertainer beat the cancer and by early 2014 he testified that medical tests indicated he was free of cancer. Since then, he has been in remission with no trace of cancer in his body until his recent tumor scare. Carman has maintained that his life's goal now is to "win souls" and he first revealed that he's been busy in the studio in Nashville recording the new album. Carman promised to provide new content along with a few remakes of older classic songs. The 61 year old has had a string of health scares lately and along with the cancer battle he's made known that he also suffered several heart attacks in recent years. He was rushed to the hospital in 2016 after a concert because he was suffering from chronic chest pain which was soon revealed as a heart attack. That was not the first time Carman had been admitted into the hospital for chest pain. On Memorial Day 2015, the New Jersey native also spent some time in the hospital after suffering multiple heart attacks. To stay up to date on his latest health condition and his new album Legacy, readers can follow Carman on social media here.